Dr Karin Kamman Klipstein a president of the German Federal Maritime and Hydrographic Agency (BSH) welcomed the conference participants in Hamburg. She pointed out the fact that the North and Baltic Seas have always been connected, nevertheless, the Connecting Seas conference for the first time brrought together the North and Baltic Sea region’s maritime spatial planning communities. Two projects, Baltic LINes and NorthSEE, worked together on important fields in transnational marine management: shipping, energy and environment. 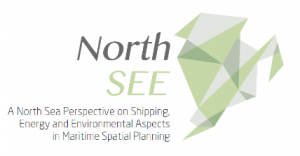 Baltic LINes project continued a long and successful history of maritime spatial planning projects in the Baltic Sea Region contrary to the NorthSEE project as this was a first project on maritime spatial planning in the North Sea Region. Dr Michael Frehse a head of Department H – Community – of the German Federal Ministry of the Interior, Building and Community welcomed participants by saying that Hamburg is a perfect location for a maritime spatial planning conference of North and Baltic Sea Regions because Hamburg is at the same time located on both seas. The conference is a great place to learn from each other and gain knowledge of similar challenges in both regions. 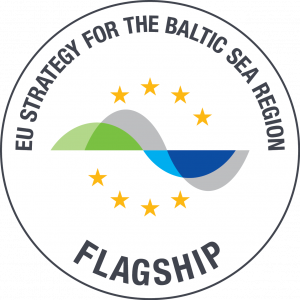 It marks the cooperation of two projects one of the North Sea and one of the Baltic Sea Region Interreg programmes that ran parallel over the last two and a half years. He thanked project partners for their efforts made to the project results especially the successful cooperation which in itself is a result of two projects. He expressed the fact that MSP obligates us to cooperate and North Sea Region should create a similar organisation in MSP cooperation to the Baltic Sea Region’s organisation – VASAB to continue a transnational cooperation in MSP after the projects are finished. Jan Schmidt from Interreg Baltic Sea Region Programme thanked Baltic LINes project partners for great results that have been achieved during the project implementation. He expressed that the role of MSP projects in the Baltic Sea Region has long traditions, naming the successful examples of the following projects – Baltic SEA plan, PartiSEApate, Baltic RIM and Baltic LINes. MSP is an important issue for developing more sustainable Baltic Sea Region, in the name of the Interreg BSR programme he appreciates that there are projects that address MSP issues and hope to support MSP projects also in the future.